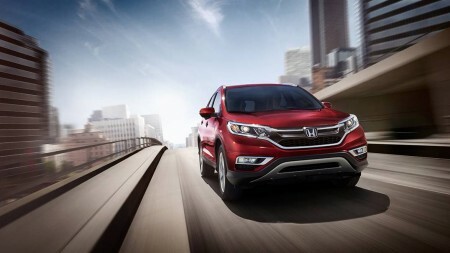 The crossover segment is getting more crowded by the day, and many Goshen and Monroe drivers end up comparing the Honda CR-V to the 2016 Ford Escape. If you’re struggling to decide between the two, just read our competitive comparison to help you decide which crossover is right for you. LX: The standard CR-V comes with plenty of high-end technology, including a multi-angle rearview camera with guidelines for easy reversing, an SMS feature to read incoming texts, and a fold-down 60/40-split rear seat to control your interior layout. SE: New for this year, the SE trim adds a rear tinted privacy glass, a premium security system, and 17-inch stylized, alloy wheels. EX: The EX trim enhances styling with a one-touch power moonroof, provides a greater sense of comfort thanks to its heated front seats, and improves convenience with a push button start system with smart entry. 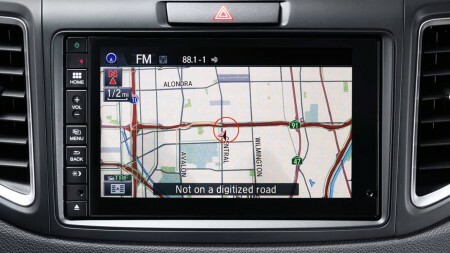 There’s even a 7-inch display audio touchscreen included as standard. EX-L: The EX-L makes your comfort into its foremost priority. Drivers will enjoy the sumptuous support and first-class atmosphere that comes with leather-trimmed seats, and both the front passenger and driver set their own temperature with a dual-zone climate control system. Touring: The Touring trim is totally top of the line, offering a power tailgate, a Honda satellite-linked navigation system, and a whole range of Honda Sensing driver assistance technologies as standard. In contrast, the 2016 Ford Escape offers Goshen and Monroe drivers only three trim options. S: The standard S model includes cloth-trimmed front seats, a SYNC system, a basic rearview camera, and an AM/FM/CD/MP3 audio system. SE: The SE adds an upgraded driver’s seat, plus dual chrome exhaust tips for a more noticeable exterior. Titanium: The Titanium is the only Escape that receives the new SYNC 3 system as standard. It also offers leather-trimmed seats and dual-zone climate control, both of which are provided as standard in mid-level CR-V trims. Comparing the 2016 Honda CR-V to the 2016 Ford Escape means making a decision when it comes to power and efficiency. The new CR-V ably blends both by pairing a 2.4L direct-injection in-line 4-cylinder engine with a Continuously Variable Transmission (CVT). Both come standard, so you won’t be forced to pay more to avoid an inferior standard engine. Harnessing 185 hp, the 2016 CR-V produces enough power to keep acceleration and handling responsive while earning an impressive 26 mpg in the city and 33 on the highway* with 2WD, or 25 mpg city and 31 mpg highway* with AWD. 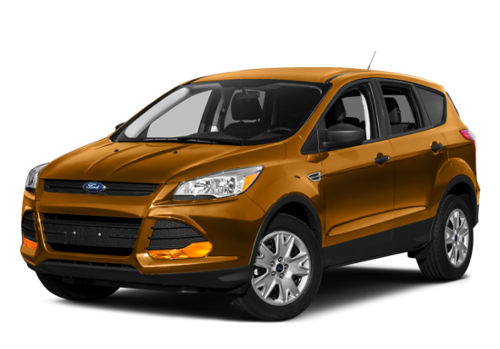 In contrast, the 2016 Ford Escape is available with three engines. 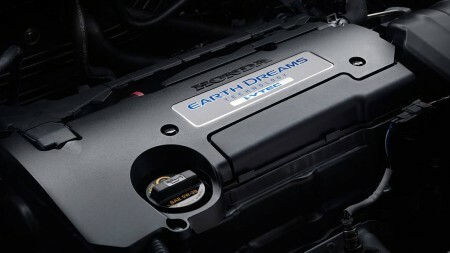 The standard 2.5L 4-cylinder engine makes only 168 hp and achieves only 22 mpg in the city and 31 on the highway. You’ll have to pay extra for the 23 mpg in the city and 32 on the highway offered by the 1.6L EcoBoost or the 240 hp that comes with the 2.0L EcoBoost — which earns just 22 and 30 mpg. Passenger Volume: With 104.1 cubic feet of passenger volume in the CR-V compared to just 98.1 in the Escape, there’s plenty of room to spread out. Standard Cargo Space: Even with all seats occupied, the CR-V provides 37.2 cubic feet of cargo room, compared to just 34.3 cubic feet in the Escape. Extended Cargo Space: Fold the rear seats of the CR-V for up to 70.9 cubic feet of cargo space, or fold the seats in the Escape for only 67.8 cubic feet. Multi-Angle Rearview Camera: While the Escape receives a basic rearview camera, the CR-V’s offers angles for Normal, Wide, and Top-Down, helping you see more as you reverse. Adaptive Cruise Control: This upgraded cruise system automatically adjusts the vehicle’s speed to compensate for the distance between your CR-V and the car ahead. Lane Keeping Assist System: Should you begin to deviate from your chosen lane without indicating, the steering will automatically adjust to help you remain centered. With more trim levels to choose from, a more efficient powertrain, and plenty of superior features, it isn’t hard to see why so many Goshen and Monroe drivers prefer the 2016 Honda CR-V to the 2016 Ford Escape. 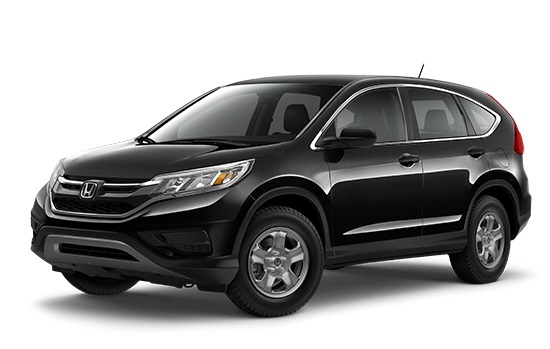 To experience the CR-V for yourself, just come to Middletown Honda today. We can’t wait to see you!